"For the past 6 months I have been fortunate to have a wonderful care provider. Whitsyms matched me with him after I was released from the hospital after a major emergency surgery. At the time, I was physically weak and emotionally drained. My care provider was there to provide me with the personal care and emotional support I needed. He encouraged me in every respect and anticipated my every need. He shall be leaving me in two days, and will no longer be my care provider. I will, however, always view him as my friend." "Thank you for your outstanding service. These are the reasons that I base my strong opinion that Whitsyms is outstanding: 1) Initiative – my Client Care Liaison took the initiative to identify all actions that needed to be performed, with the highest order of importance prioritized. 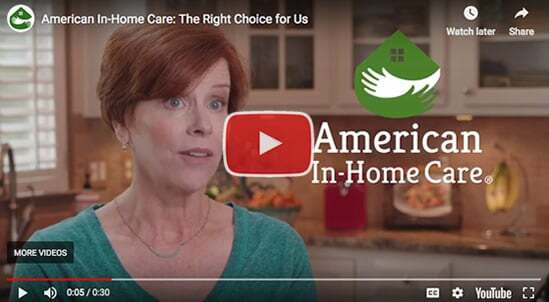 2) Expertise – this was our first experience with in-home care, and your expertise guided us and comforted us through the process from the beginning, including assisting us with insurance. 3) Interpersonal Skills – Communication went above and beyond being pleasant, there was the right balance between being compassionate and being firm enough to get the job done. 4) Professionalism – When working with our Client Care Liaison, we knew that she had everything under control, and that confidence and professionalism helped us feel at ease." "I had a great experience with the care provider that Whitsysm recommended to me. He was reliable, helpful, polite, personable, and made a good impression on everyone he came into contact with. He also took the initiave to help around the house with things like changing the lightbulbs, setting up my LifeAlert device, moving and replacing carpets in my home, taking me to watch basketball games, and much more. I sincerely recommend him and Whistysms to anyone who requires in-home care."